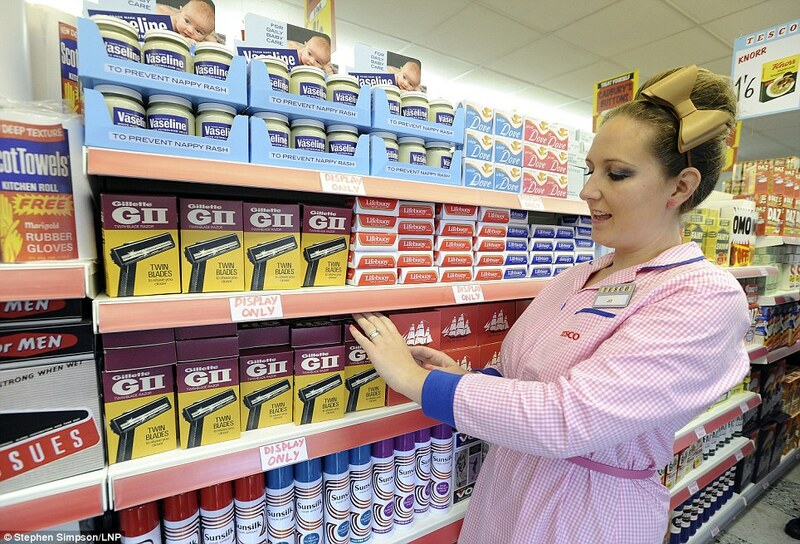 British supermarket giant Tesco has recreated a 1960s style store for the Goodwood Revival Historic Motor Race meeting, held each September in Essex, not far away from London. Inside the store, customers will be able to walk up and down three different aisles filled with dozens of products from the sixties. Even the check-out assistants will be dressed in vintage uniforms, with hair and make-up styled in the fashion of the area. The Goodwood Revival is a three-day festival for the types of cars and motorcycles that would have competed during the circuit’s original period—1948-1966. It is one of the world’s most popular motor race meetings and the only UK event which recreates the golden era of motor sport from the 1950s and 1960s.